Department for Work and Pensions figures show that the council spent £194,783, between April and September 2018 helping people on benefits who are struggling to cover housing costs. The Government awarded the council £584,002 for the Discretionary Housing Payment scheme for the 2018-19 financial year. In the first six months, South Tyneside Borough Council spent a third of its annual budget. But Jo Durkin, co-founder of Hebburn Helps - a group which supports struggling families in South Tyneside said: “The situation is already at breaking point with the introduction of Universal Credit and things are only going to get worse. 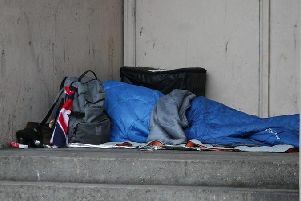 “It’s great there is money to help people who are finding themselves on the brink of homelessness but it’s nowhere near enough and is only the tip of the iceberg.